If you were given the task to teach someone a new skill over the course of a month or even a year’s time, then you’ll want to set up a schedule that both you and the student will want to stick to. This is why it is important for you to come up with a daily lesson plan and this article will teach you how to make one. If you are going to come up with any kind of lesson plan at all, then the first thing you need to do is to fully understand the goal that needs to be reached. That way, you can set up objectives that will help you and the other party involved in the plan in achieving the lesson plan’s purpose. The other party, your student, will only be able to learn if you know exactly how to teach him/her. That is why it is very important for you to get to know that student so that you will be able to tell what teaching methods will be effective. 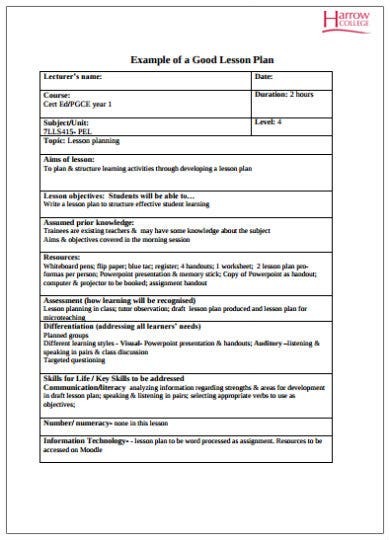 Don’t forget to put the student’s complete name into the plan document. Know that you know more about the student you’ll be teaching, then the next thing for you to do is to know how about in teaching him/her. Remember that you have to consider only using the strategies that you know is going to be effective on the student. Also, these have to be ones that are specifically meant to achieve the goal that was set. When you have figured out the best teaching strategies, you will then have to think about the tasks that need to be done to put those strategies into effect. Think about what it is that you and the student should be doing on a daily basis that will help him/her reach towards the set goal. Be sure to provide clear descriptions of every task. Although these tasks occur daily, you will still need to set up the time in which they will all start and finish. Consider the tasks that should be prioritized and the ones that can be moved during the later part of the day. Be sure to put in the exact time that each task starts and finishes to ensure that both you and the student can easily stay on track with the schedule. There are instances where you may have to make certain changes to the daily lesson plan. Should that ever happen, it is important for you to share these changes with the student so that there won’t be any confusions or problems. Be sure to make it clear as to what these changes are and find ways that will allow you to easily communicate with the student whenever you need to share them. When the time comes that you have a student and you need to figure out the best teaching schedule for him/her, then you’ll find the most use out of this lesson plan template. Just make sure that you thoroughly understand the student’s needs so that you can come up with a proper plan. Let’s say that you have a toddler that you need to teach important lessons to. 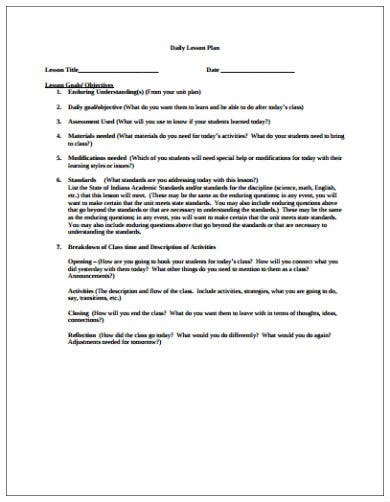 Should you find yourself in a situation wherein you will have to plan out his/her teaching schedule, then you’ll find that this template can help you make a document which can help out with that. 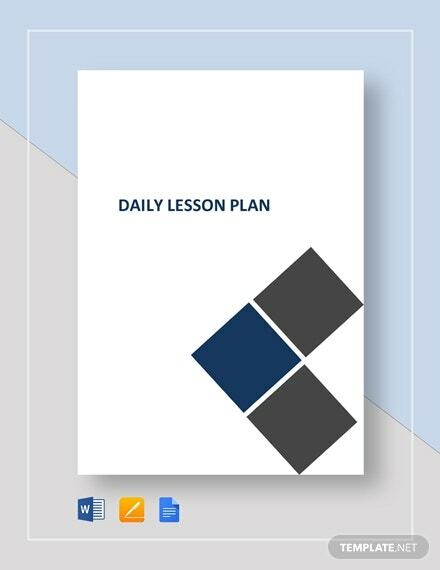 If you are looking for a lesson plan template that’s for free, then you can find one right here. Once you download it, all you have to do is to put in all the information it needs so that you are able to come up with an effective schedule that can properly teach any student. 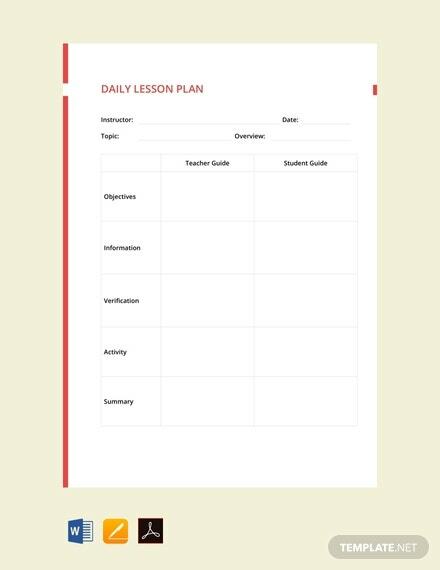 When it comes to making lesson plans, you want to make sure that you have the right template that will help you make one. 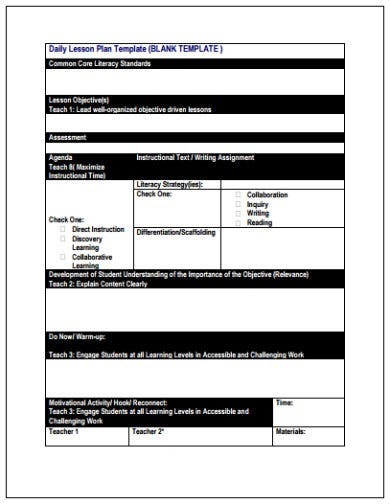 Should you choose to download and use this particular template, know that all you have to do is to put in the information it needs to become an effective lesson plan. If you don’t want the hassle of changing text and instead just directly put in the information you want, then you’ll find the most benefit out of this template. You can use programs such as Microsoft Word or Apple Pages to access and customize the template until you can put in everything that it needs. 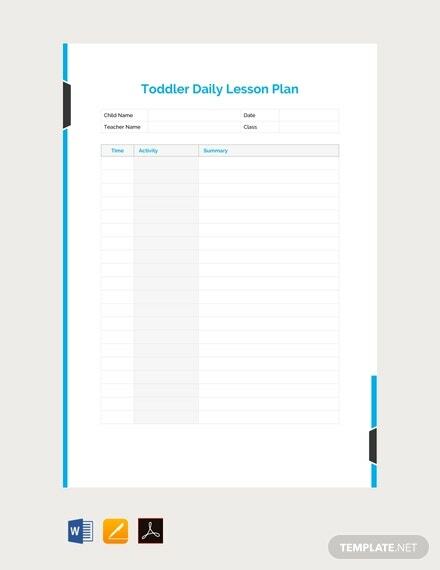 Should you wish to make a simple lesson plan for you and your student, then know that this template is always available for you to download. Once you have it, just put in whatever it needs to ensure that it guides the student on what needs to be done on a daily basis.